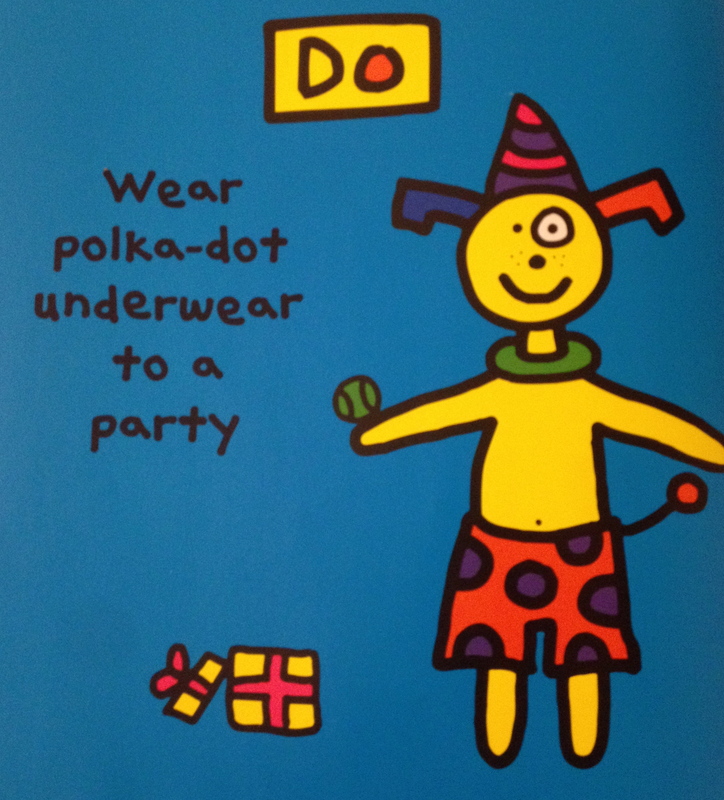 Todd suggests polka-dot underwear. Max and Calvin like superheroes. Here’s what I saw when I walked into the house the other day: two naked little boys, jumping on a mini trampoline with underwear on their heads. Our first introduction to Todd Parr was when the boys’ older brother bought them The Earth Book. We’ve since read many of Todd’s books. Go to his website to learn more. Here are two more awesome books about underwear that the boys and I love: Brief Thief written by Michaël Escoffier and illustrated by Kris Di Giacomo. Picasso’s Trousers by Nicholas Allan is a family favorite. Worms. Need I say more? 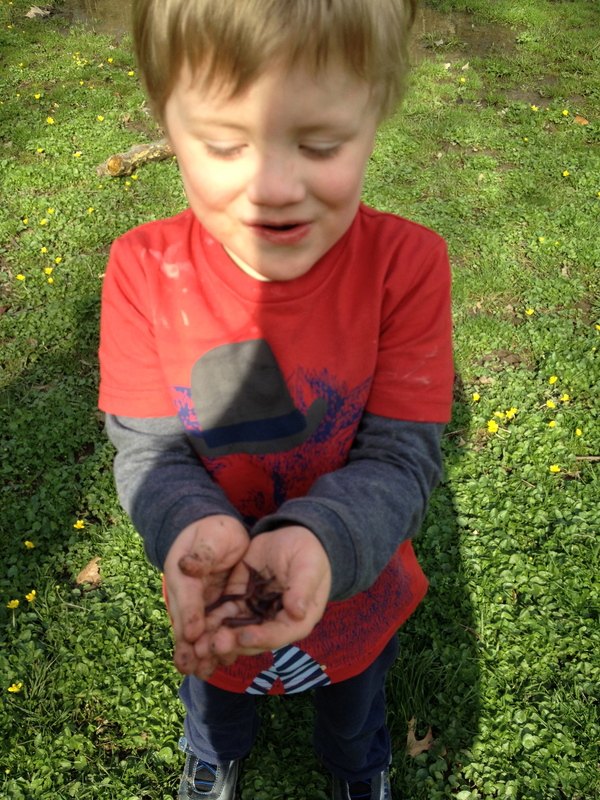 Max with his friends the worms. Worms have long had a place in children’s literature. There is the most well-known worm, Richard Scarry’s Lowly, who not only has adventures but is stylish with his outfits and one shoe. When I was in the fourth grade, my teacher Ms. Shomburg would read us Thomas Rockwell’s How to Eat Fried Worms and laugh so hard she would put her head down on the desk. Elise Gravel’s The Worm is both scientific and funny. While learning about the worm, her illustrations make comments like, “I am NOT disgusting.” Gravel’s artwork explains that earthworms are useful as recyclers and delicious for fish. 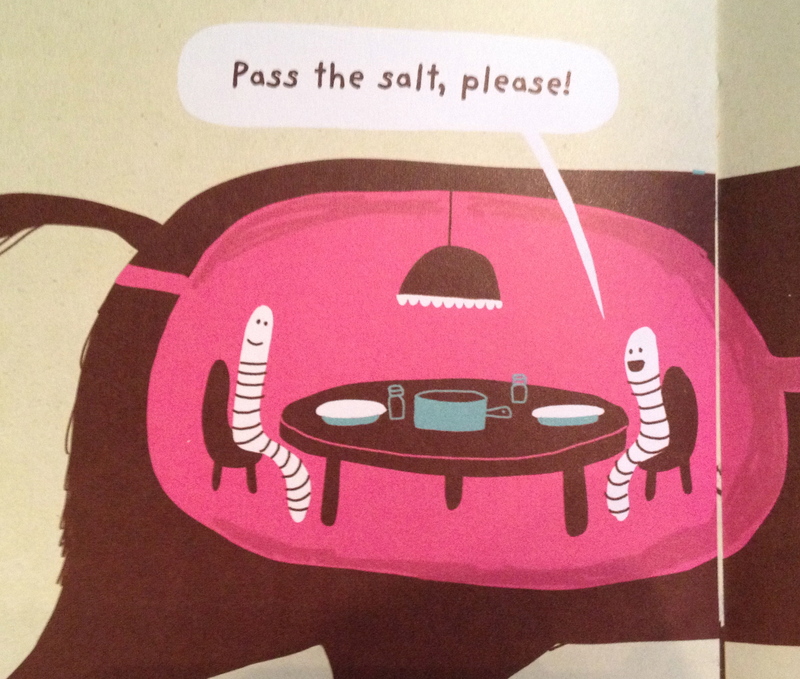 Next time you are out in the woods, pick up a rock and say hi to your friends the worms! Gravel has written several other awesome kids books about slugs, head lice, spiders, and my least favorite, rats. (That’s a story for another day.) They are all part of her Disgusting Critters series. Learn more about her and buy The Worm and more on her website. Another great book about worms is Winnie Finn, Worm Farmer by Carol Brendler; illustrations by Ard Hoyt.